Michonne has been going out at nights to kill walkers while spending her days working on the charter and enjoying family time. She runs into trouble with a walker because she is distracted by the sight of a lynched man (now a walker), losing her sword when she is surprised. She grabs hold of a bat to deal with that nonsense, but it clearly reminds her of Lucille. Maggie picks up a crowbar at Hilltop and lets Jesus know that she's headed to Alexandria to deal with the Negan issue. Jesus isn't a fan of the plan. The levee broke, so the bridge is on borrowed time. Eugene is just grateful that the two herds nearby don't appear to be on a path to merge. (I think one of the herds is called Chekhov and the other Gun.) The Sanctuary folks are headed back home, and Carol is headed to the Kingdom instead of staying to lead them. They'll have to stand on their own, she says. Jerry warns Rick that Maggie is on the Alexandria, and he calls in a message to the relay to warn Michonne. But the relay doesn't relay. Daryl offers to take Rick to Alexandria on his motorcycle. But Daryl doesn't head to Alexandria, and he and Rick end up in an inconvenient hole to talk about their issues. Meanwhile, Michonne and Negan have a talk because Negan has gone on a hunger strike. He makes Michonne mad. Gabriel wakes up, Anne threatens him with a walker, and then ultimately leaves him and goes off on her own. The Saviors find themselves a gun, and confront Carol. That goes about as well as you'd expect. But Rick and Daryl hear the gunshot from the camp and team up to climb out of their hole. Michonne finally susses out that Negan is just a lot of "blah blah" in search of his beloved Lucille. Rick separates from Daryl to lead away a herd that is headed towards that gunshot (and the camp and all those people), gets himself stuck between those two herds, thrown from his horse onto a piece of rebar, and is losing consciousness as the two herds converge on him. There's not a dumpster in sight, so it doesn't look great for ol' Rick. She grabs hold of a bat to deal with that nonsense, but it clearly reminds her of Lucille. I thought that bat was Lucille, no? It had the barbed-wire wrapping. Negan is still nowhere near as interesting as the show thinks he is. Blah blah indeed. It’s almost admirable, compared to the drawn-out goodbye we got for Carl and the interminably endless Negan situation that continues to sap time from the otherwise creatively resurgent season [...], to have the man who has been the center of it all ended by a stupid split-second error in judgment. It feels honest in a way that too many character deaths on this show don’t, and fitting to this new world that has been built: Sure, they’ve made great strides in creating a viable future for humanity, but at the end of the day, one wrong move and you’re chum for the hordes of the undead. Rick's leaving the show? Oh... I hadn't heard. Well I thought that sinkhole stuff was cheesy tv from the 70s stuff. Like they just needed a robot bigfoot down there with them to make it perfect. Though Daryl does make a good robot bigfoot, don't he? How many more episodes does Rick have? I stopped watching seasons and seasons ago, but I thought I'd see him off just for old time's sake. I made a snarky joke about how the horse, who had hundreds of yards of wide, flat ground on all sides from which to choose, dropped Rick in the five square feet of ground covered in exposed rebar. My wife pointed out that when I get up and walk across the bedroom at night I somehow manage to stumble over the trashcan every damn time despite our floor being 99% clear, which is a fair counterpoint. Rick and Daryl falling in the hole was fine. Not clever, exactly, but it did not strain credulity for me. I hike a lot and I have nearly fallen in holes a few times. I have said before that I mostly watch this show for the set pieces of ridiculous action/violence and the ridiculous injury zombies, and if the set-up for those two things is a mildly improbable series of events I am willing to accept that. It is a shame that The Walking Dead has spent the last few seasons aggressively shedding viewers, because the show right now is as good as it has ever been. I never considered it to be part of the "new golden age of television" so I am not saying that it is high art now, but it never was and it is back on track being a mostly entertaining diversion. It has helped that the characters who most bothered me are either gone or leaving (Carl, Rick, Gregory) and that Negan has had much more limited screen time this season. I could go for a little less Father Flopsweat Gabriel, but compared to the last few seasons things are much improved. Rick and Daryl falling in the hole was fine. Not clever, exactly, but it did not strain credulity for me. Them falling down the hole didn't bother me, but I was puzzled when Daryl started trying to climb up at the same time. It seemed like he was in a position to continue on fairly safely dispatching the dead at a steady rate as they fell in. When he gave that up to try and climb out along with Rick, it turned into a pit of certain death beneath the two of them if they fell. I think the implication was that the walkers who had fallen in the hole with them so far were the long forward of one of the two major herds that they mentioned traveling through the area and that as the main body of the herd grew closer the frequency of the walkers falling in the hole would increase until it eventually became unmanageable. I didn’t see that there was any barbed wire. From the AMC recap: She bashes the walker with the nearest weapon she can reach. As the walker drops, Michonne realizes she’s holding a bloody baseball bat, reminiscent of Negan’s. Repulsed, she drops it, picks up her katana, and leaves the bloody bat behind. Oh, huh; I guess I saw what I wanted to see. It is a shame that The Walking Dead has spent the last few seasons aggressively shedding viewers, because the show right now is as good as it has ever been. I am broadly in agreement; it has arrived back at an interesting place. I did appreciate that Daryl switches immediately into survival (ie., cooperation) mode with Rick the instant he understood the secondary and tertiary implications of hearing gunshots, while in the pit. If Rick leaves the show because of shear bad luck rather than poor (tactical*) decision making? I'm down with that. This thread isn't tagged either way (and I'm realizing that the <small> tag draws more attention than deflects it) I'm going to mention that in the comics it was Rick who has the interactions with the captive Negan, not Michelle. Again, I like the relationship shuffle here. Also, Coral in the comics isn't dead, and is the segue to the next Big Bad so I wonder who takes Carl's place - if any. I wonder if its going to be Gabriel. But if its Gabriel, the nature of the next Big Bad is going to be very divergent from the comics. I guess you missed AMC’s blatant spoilers all season. I won’t spoil it here but I’m pretty pissed at AMC about it. 2018 being what it is, if a show is set in the American South and before the opening credits a black man is showed hanged from a tree it is unconscionable that the episode would get to the end credits without having something to say about that. 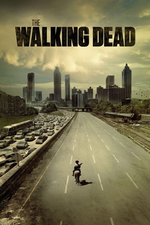 As much as The Walking Dead is so far much better this season, that stood out to me like whoa. I dropped out after the season 7 premiere--is it worth going back in? And, will I be confused?